The Bharatiya Janata Party (BJP) is likely to sound the poll bugle for Uttar Pradesh in Allahabad next month when Prime Minister Narendra Modi, party president Amit Shah and other top leaders will converge in the city to attend a two-day meeting of the national executive. "BJP national executive is scheduled to hold its meeting on June 12-13. 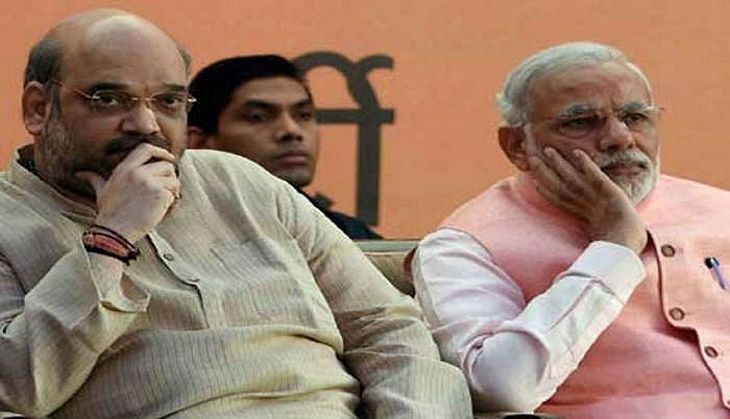 Besides Modi and Shah, the meeting will be attended by all members of the national executive and Chief Ministers of BJP-ruled states across the country," UP BJP Chief Keshav Prasad Maurya said. "Prayag is known as the land where the 12-yearly Kumbh attracts the largest crowds and we must make all efforts to ensure the success of the party's rajneetik kumbh, (political mega congregation) for which UP has been chosen this time after a long gap," said Maurya, who represents Phulpur constituency in the Lok Sabha, which covers a major part of the city of Allahabad. The development comes at a time when BJP is gearing up for the high-stakes Assembly election in the politically crucial state of Uttar Pradesh, due in less than a year. The party had suffered a steady decline in the state until a dramatic comeback in the last Lok Sabha polls. After touching rock bottom in the 2012 Assembly polls, when it won only 47 seats in a 403-strong house, BJP surprised all by emerging victorious in 71 of the 78 Lok Sabha constituencies it had contested in UP. The stupendous performance, which was also the BJP's best ever in the state, has been credited to Modi's decision to step out of Gujarat and contest from Varanasi. A huge share of the credit also goes to the organisational skills of Shah who was the party's national general secretary in-charge of UP at that time. Meanwhile, Shah is also likely to address a farmers' rally in Jhusi on the outskirts of the city on 31 May, the party's city unit spokesman Devendra Nath Mishra said.